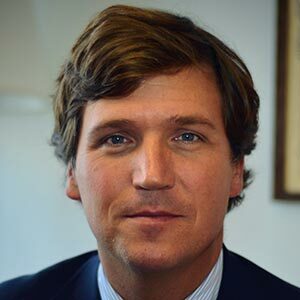 Tucker Carlson is the host of Tucker Carlson Tonight, airing on primetime on FOX, and founder of The Daily Caller, one of the largest and fastest growing news sites in the country. Carlson was previously the co-host of Fox and Friends Weekend. He joined FOX from MSNBC, where he hosted several nightly programs. Previously, he was also the co-host of Crossfire on CNN, as well the host of a weekly public affairs program on PBS. in Little Rock. He has authored books such as Politicians, Partisans, and Parasites: My Adventures in Cable News, and his newest book, Ship of Fools: How a Selfish Ruling Class Is Bringing America to the Brink of Revolution, is set to release October 2018.